Food, wine, a pairing dinner, craft beer, bubbles, brunch, and those gorgeous eastern Vancouver Island sunrise views. The 10th annual Parksville Uncorked Food and Wine Festival is happening March 8-11, 2018 at Tigh-Na-Mara Seaside Spa Resort and The Beach Club Resort and you won’t want to miss it! Check out the resort packages available and book your getaway today, either online or by calling 1-800-663-7373. 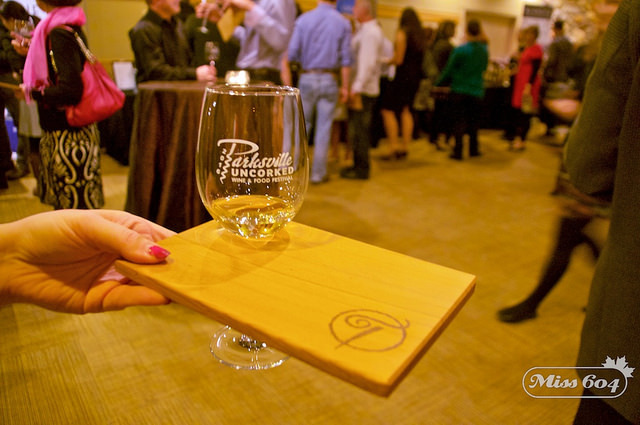 I have been to Parksville Uncorked twice, and it was the perfect event for each trip. The first was during our 5th wedding anniversary a few years ago, which was an incredibly romantic getaway. The second was with my sister last year for a girls weekend. Again, it was a balanced and relaxing weekend by the sea with really fun wine and food themed events. 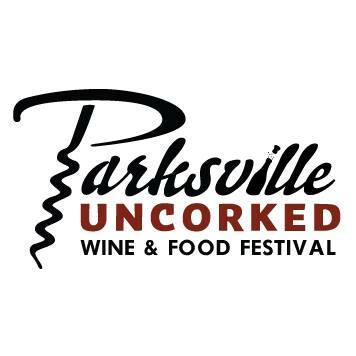 Follow Parksville Uncorked on Facebook, Instagram and Twitter for more information. I will draw one winner at random from all entries at 12:00pm on Friday, February 23, 2018. Prize/hotel stay can only be used during Parksville Uncorked 2018. Must be 19+. Please enjoy responsibly. Accommodation is based on double occupancy. This would be an incredible experience! My husband and I would love to get away for two nights to gorgeous Parksville! Would be a great way to celebrate our wedding anniversary! This sounds like the perfect getaway! I’m excited win this one! Yes! I would love to return to Parksville and this gorgeous resort! Would be a lovely birthday treat to win this! I have been wanting to check out Tigh-Na-Mara. This sounds like the perfect opportunity! This would be a perfect 40th birthday gift for my sister. A great way to spend an early birthday! Would love to visit Parksville! March 9th is my 55th bday and I never get to celebrate!! Plus my fav cousin in the world lives in beautiful Parksville and never leaves the island! Talk about a win/win kind of win!! Would love to take my girlfriend and experience this!! Would love to win this…who wouldn’t lol thanks so much! That would be awesome to win. My spouse and I would love this! That weekend I will be moving home after being gone for school the past 4 years. This would be a great welcome home! Already going to untapped – would LOVE to check out uncorked for the first time! This would be such an amazing opportunity! Would love to share this with my hubby! This would be an amazing getaway. This is SO necessary right about now! Fingers crossed!!! My hubby & I would love to win this…Tigh na Mara is fabulous!! Would love a little getaway! This would be so much fun!!! The perfect getaway!!! Sounds like a great event. Parksville would be a great getaway! Thanks! My Hubby and I would so enjoy this get away. This would be such a fun getaway! What a wonderful prize to win. Thank you for the opportunity to enter. My husband and I LOVE Parksville. I love Parksville and Tigh Na Mara! This would be an amazing much needed weekend! Tigh-na-mara and the beach club beaches and wine what could be better?? I would love to win to visit my favourite place with my favourite person, my wife, of course! Just love it there!!! awesome – thanks for the chance! could really use a getaway. Would love to win this! Could definitely use a getaway. Liked on FB and Twitter – Tweeted, Shared and commented in FB – Liked all pages/posts! i REALLY want to win this! Sounds like a great weekend. I would love to go. Such a great prize! Thanks for the chance! Oh boy!! This sounds wonderful! I need a getaway with my hubby! This would be fun. I’ve heard wonderful things about Tigh-Na-Mara. 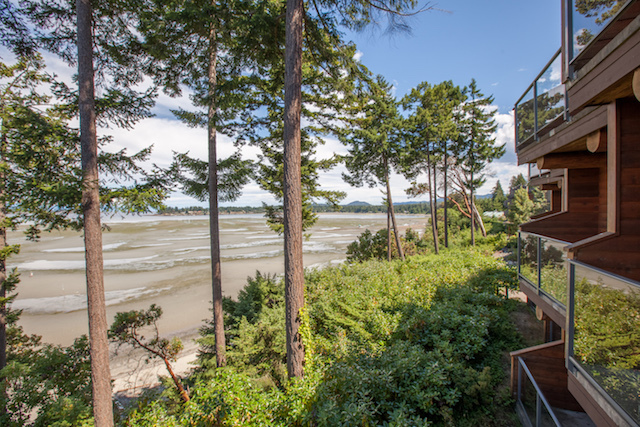 In need of a getaway and would love to check out Tigh-Na-Mara! I love this. Would love to sample and stay! OMG THIS WOULD BE AMAZING!!! Me and my mom love Ti-Na-Mara. We’ve had so many health complications between the two of us over the last few years a nice relaxing break with nature is what we both need! What a wonderful treat thsi would be! I could definitely use this little getaway. Sounds amazing!!! This would be an amazing getaway for my wife and I! Would be so great to have a nice little getaway with my husband!! Love this place ! Been once and would love to go back again !!! I can’t wait to visit Parksville and Tigh-Na_Mara! Sounds like a fabulous romantic and fun getaway!! What a combo. Wine, Parksville and a great resort! I have fond childhood memories of parksville , I have not been back in many, many years , I would love to go back and visit Tigh-Na-Mara! This has been a life long dream! This would be an amazing weekend for my man and I. It sounds so nice! Would love to win this – a great way to celebrate our anniversary! I would love to win this trip and take my bestie! She’s getting married this year and this would be a perfect way to celebrate everything she’s been through. I’m definitely posting this as my entry! I went one year and it was such a wonderful experience! I sooooo need this to get out of the dog house! Fabulous place! Count me in! My husband and I haven’t been to Vancouver Island since we retired 5 years ago, so this would be a lovely trip for us. How sweet would this be?! Wine, R&R in Parksville and weekend away with my wife – sounds perfect! Would love love and need this!! Nice article, it would an awesome get away! Would love a chance to go! Would love to win this getaway! What a fabulous prize! I’d love to win! Ahh!! I’ve always wanted to go to this! I’ve heard this is fabulous! This is an amazing package! Thanks for giving us the chance! What a great getaway this would be. Wouldn’t this be just amazing to relax and unwind !!! I’d love the chance to experience and share this! I love oarksville. Would love to win this prize. This sounds like an amazing getaway! I absolutely love Tigh na Mara! This would be sweet It’s been a few years since I’ve been to Parksville. Prefect birthday present for me!! Such an awesome prize and love this event!! Would be stokked to win! Thank you this is awesome and we would love to go! Count me in for an island getaway! This would so much fun! What a lovely and generous getaway! Thanks for the chance to win! Parksville would be lovely in the spring. It’s our 25th Anniversary this year…would love to win this for a surprise gift for my husband. This would be THE BEST! Fingers crossed! Well, I adore wine and I enjoy getaways! I’ve never been to Parksville so this would be lovely! Love parksville! Went the for the first time last year! I would love to go back to swirl!! I spent Christmas there! Would love to go back to celebrate my new business launch on March 6th! I love Parksville. Hubby and I would love to win this! Parksville Uncorked is da Bomb! Another fantastic giveaway! The event sounds awesome. Always have wanted to stay here. Have been to their mineral pool twice and unlimited tapas twice. Had an amazing time!Love it there, so peaceful and tranquil, just what everyone needs in their life. Looks fun … Love to win. This would be a personal and professional dream! This would be a great way to celebrate our 20th Anniversary!!! My mans birthday is the 8th so this would be great timing! What an awesome event to go to!! As I’ve always thought of going to Tigh Na Mara “Parksville Uncorked Wine and Food Festival” sounds like a way to really enjoy the weekend and in style. What an awesome combination event and at such an amazing venue! Talk about in style and being pampered too! Amazing idea…would love to go! Great place to spend a weekend with a loved one.! Fantastic prize, I would love this little getaway. Awesome prize. Looks like a great time. Parksville and Tigh-Na-Mara. My two favourite places to be. This would be awesome to go to! I have always wanted to book my family to go to this resort! It sounds amazing…and kid friendly too. This sounds like a really nice getaway! Hubby and I are soon to be celebrating our 10th anniversary and this would be the perfect way! And Parkville is SO beautiful. I hope we win!!! Would be so lovely to take the family back to where I had my childhood summers. Just love Parksville Qualicum area and a lovely resort to boot! This would be a perfect time together for our 25th anniversary! Would love to surprise my hubby with this prize!! Would be the best! Love Parksville, love Tigh-Na-Mara. Would love a little getaway like this! Thank you for the chance! Great win! How I would love to win this! What a great date weekend. I would love to go with my husband. It sounds like so much fun to sample good food and local wine and cider. I’m on a quest to find a red wine that my wife enjoys. She thinks they all taste like vinegar. Eventually, I’m sure, we’ll find one, and then, just think how enriched her life will become. My partner grew up in Parksville and would be amazing to visit! What a beautiful way to enjoy our country and our local wines! Sign me up! Would love to win this for my parents!! Perfect getaway and memory for my parents to share together. We just found out over christmas my dad has cancer and has only a couple months left with us. Would love to regift this! It would be amazing to take my partner to this to help him learn more about wine and experience the beauty of Parksville for the first time! This would be an amazing weekend getaway! Another fantastic giveaway from miss604.com!!! Attended last year…it was so much fun. Great event! Yesplease! This prize package was made for me! This would be such a great weekend away! This would be the perfect adventure right about now. As a man who grew up in Parksville, I feel a great sense of pride knowing such a festival showcasing its stunning natural beauty is on tap year after year. Congrats to its organizers! This would be amazing! I love everything about Parksville. I would LOVE to win this. We have always wanted to go to Tigh-Na_mara! We visited Parksville for many years when my husband’s parents lived there but they passed away a few years ago so it would be wonderful to go back and reminisce about the great times we had with there when our children were young. My fingers & toes are all crossed! My family would love to go to Parksville again! I have heard that this is an well organized great event to attend. Would be an awesome getaway! Parksville + Wine + Ocean = Perfection! This would be so amazing, I would be delighted to take part in this fun event!!! O..M…Freakin…G!!! This would be a lovely prize to win! 🙂 Thanks for the chance! I stayed at the Tigh-Na-Mara over 10 years ago and remember it fondly. I would love the opportunity to go back. Amazing prize. Would love to take my wife! This sounds like a great fun event..!! Sounds like an amazing prize! Got to be in it to win it! I’d love to win tickets. This place is beautiful! Sounds like a fabulous way to spend my time! The area is beautiful. I have always wanted to stay here, this would be an amazing time away for my husband and I! Oh wow. I could really use a little wine filled getaway. Wow, wine, food and Tigh-na-mara, sounds like a great couple of days! We would love to attend & spend some time on the beach! Would love to win. Sounds awesome ! Great promotion, will be a super weekend. Hope we can be part of it. I’d love to go! I’ve never been to this event before! Would love to surprise my husband for an early 71st birthday treat. It would make up for the horrible year we have just had. Thanks for the chance to win this amazing prize. Would love to take my boyfriend here! I would love to win this. Love this resort. Great prize! Would love a quick getaway to the island. I would love to enjoy the 10th annual Parksville Uncorked Food and Wine Festival. What an amazing beach! I would be ecstatic to stay at Tighnamara!! I have that weekend planned with my three closest friends from elementary school. We have been a team for more than 40 years, and it would be great to win this so we can enjoy it together! Looks like a beautiful spot to wine and dine = an amazing time! What a great giveaway, and a fun getaway! Would love to return to this magical place to celebrate our anniversary! This would be the most amazing getaway! I have heard amazing things about the Tigh-Na Mara. Thanks for the chance. What a fabulous weekend this would be!! This would be such a nice treat. Sounds like an awesome getaway !!! Love to win wine getaway in Parksville. Could SO use this!! Fingers crossed! Thank you! Oh, WOW, super contest. Thank you for offering it! This would be amazing. Thanks! This looks amazing! Good Luck everyone! Oh this looks so fun! Love wine tasting! Would love to take my friend for her birthday! Great prize. Looks like a wonderful event. Would be a romantic getaway for hubby’s bday. Gorgeous location on the beach! It’s been a tough couple of years, this would be such a welcome break! Sounds like a wonderful weekend getaway. This weekend getaway in Parksville sounds lovely. Thanks for the chance to win. Try-to-share-a this prize with me! Would so love to gift this to my sister! This is exciting…I would love to enter for the Getaway! Parksville Uncorked is a great event but a bit pricey, to win would be wonderful, good luck everyone! Have always wanted to stay here!